NAIFA (National Association of Insurance and Financial Advisors) comprises more than 700 state and local associations representing the interests of 200,000 members and their associates nationwide. NAIFA members focus their practices on one or more of the following: life insurance and annuities, health insurance and employee benefits, multi-line, and financial advising and investments. The mission of NAIFA Idaho is to enhance our members' business and professional skills and advocate for our members and clientele a positive legislative and regulatory environment. 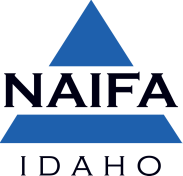 NAIFA Idaho and its advisors advocate for consumer protection and promote the critical role of insurance and investments in a sound financial plan.